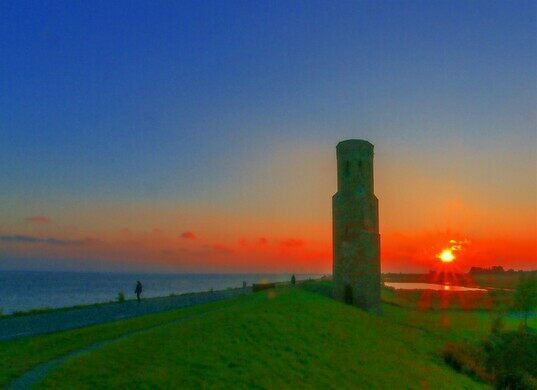 Its town washed away centuries ago, this lonely tower by the sea tells the tale of a mermaid and a curse. 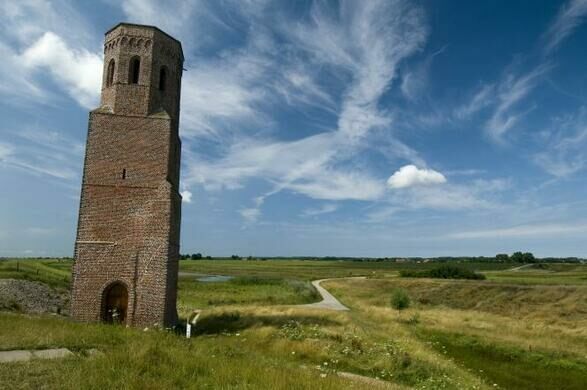 A brick church tower along coastal Zeeland in the Netherlands is all that remains of a town lost to the sea. The tower is the keeper of story of a trapped mermaid, her frantic merman husband, and their curse on a 16th-century community. The spectacular history of spectacles on display. The story of the tower might end with a storm, a failed dike, and a changing coastline, but for the Plompe toren (or “squat tower”) the story has a twist: inside is a 360˚ illustrated panorama that tells of a mermaid caught in a fishing net, and the curse her merman husband placed on the town. 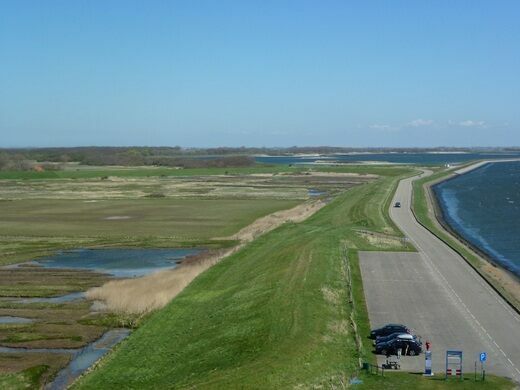 The Netherlands has long relied on elaborate engineering to hold back the sea. This is especially true in Zeeland (Sealand), the collection of islands and peninsulas in the far west of the country. 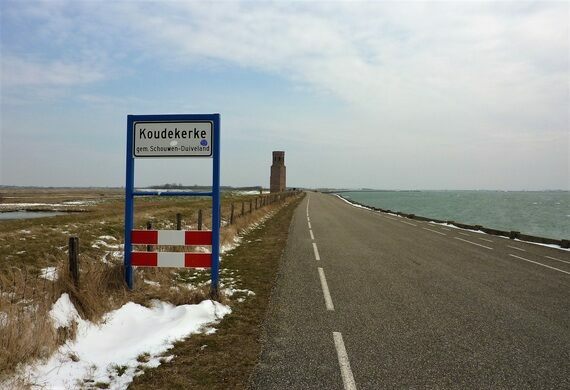 At the end of the 15th century the coast around the once-prosperous fishing village of Koudekerke looked much different, with the seashore nearly two miles (3 km) further out into the Oosterschelde (the estuary), than it does today. Fierce storms plagued the coast, and the dike failed, swallowing up the town. 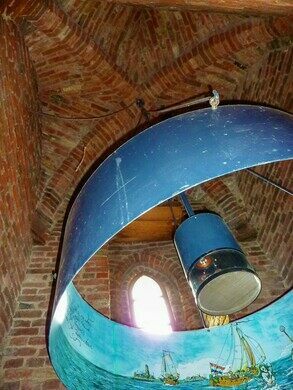 Anything that was left was torn down, with the exception of the Plompe toren. Legend says, however, that the tower was left behind as a cautionary reminder. The story varies, but basically goes like this: one day a fishing boat caught a beautiful mermaid in its net. The mermaid’s husband (a merman) tried frantically to get the fishermen to let her go, but to no avail. They brought her back to shore as a prize to show off, where she slowly withered and died, leaving her distraught merman (and sometimes also a mer-baby, depending on the narrator) behind. Seething with anger and vengeance, the merman placed a curse on the town, and it was that very night that the storm hit, taking the town out to sea. 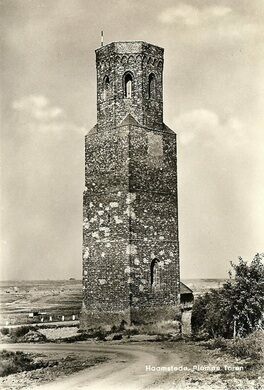 The Plompe toren was spared, but only as a reminder of the destruction of this once-prosperous community, and an admonition to the fishermen in the Oosterschelde of the result of their cruelty to the beautiful sea-family. 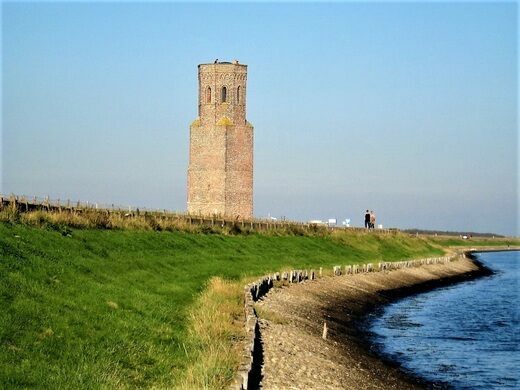 The Plompe toren is on a small coastal island of the Netherlands, about a 45-mile (75 km) drive from Rotterdam. You can visit year-round - they are open 7 days a week from 9am to 6pm, and there's plenty of parking next to the tower. The Rozenberg wind wall in South Holland makes for smooth sailing through the Calandbrug canal. Invisible bridge parts the waters, invoking biblical images and preserving the ominous feel of an ancient moat. Head underground and take a tour of the city's working sewer system.